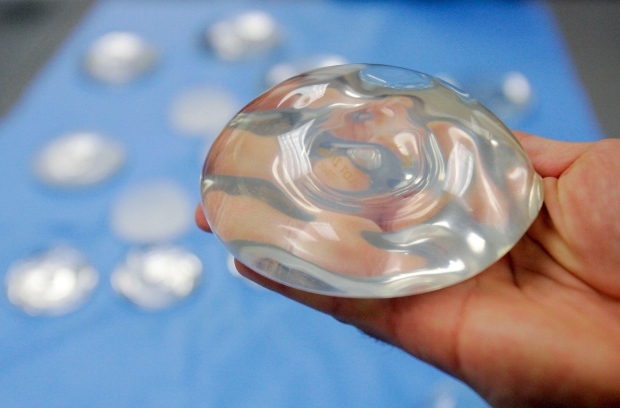 Scientists have discovered a way to enhance the surface of silicone breast implants to make them less likely to be rejected by the body. The research team, from the University of Manchester in the UK, says that one in five people with breast implants grow scar tissue that calls for more surgery due to pain and deformity. “Some of the surfaces seen on implants today were designed originally in the 60s and 70s and therefore there is an unmet need for delivering the next generation of biomimetic breast implant surfaces,” says lead author Dr. Ardeshir Bayat, of M-U’s Institute of Inflammation and Repair. This condition is called capsular contracture and it occurs when the body rejects a foreign object. Springboarding on previous research suggesting that scar tissue is less likely to result from implants with textured surfaces, the research team created a surface similar to what the body is used to, such as the basal layer of the skin. This provides a better environment for cells to grow on, according to the study. “Importantly, the micro environment created by the features of a breast implant is critical for breast tissue cells to adhere to that surface and grow on,” says Dr. Ardeshir Bayat. He compared the surface of conventional implants to the face of a smooth cliff, noting that the cells need a terrain of their own dimension to properly interact with. What’s more, the enhanced surface could help reduce chances of inflammation, which can result in scarring.